Oregonians going to the polls this November could have the chance to vote twice to legalize marijuana, or maybe even three times. Two separate legalization initiative campaigns are underway there, and both have a good shot at actually making it onto the ballot. And one of those campaigns also includes a constitutional amendment that could also make the ballot. Oregon very nearly joined Colorado and Washington in legalizing it in 2012, when the underfunded Oregon Cannabis Tax Act (OCTA) got more than 47% of the vote. Prospects have only gotten brighter since then. A recent poll showed solid majorities for a specific tax and regulate question (58%) and for a generic legalization question (64%). And even sectors of the state's political establishment have suggested that legalization is an idea whose time has come. Gov. John Kitzhaber (D) urged the legislature to pass a bill that would put its version of a legalization initiative before the voters. That bill died when the session ran out, but it garnered some support in Salem. This year, one initiative campaign, the Oregon Cannabis Tax Act campaign, a double-pronged effort led by the controversial but persevering medical marijuana entrepreneur Paul Stanford, who put OCTA on the ballot in 2012, is already well into the signature-gathering process, while the other, led by New Approach Oregon, is awaiting resolution of a legal challenge to its ballot language and chomping at the bit for petitioners to hit the streets. The clock is ticking. Initiative petitioners have until July 3 to hand in the 87,213 valid voter signatures to qualify for the November ballot. The bar for the constitutional amendment is set higher, at 116,284 valid voter signatures. 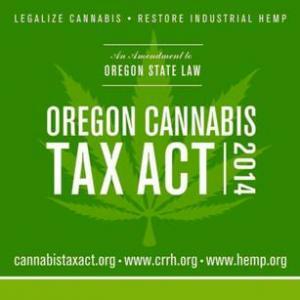 The Oregon Cannabis Tax Act (OCTA) and the Oregon Cannabis Amendment (OCA) are both Stanford creations. OCTA would create a commission to regulate marijuana cultivation, processing, and sales, while the OCA would amend the state constitution to remove both criminal and civil sanctions for "the private personal use, possession or production of cannabis." The OCA would allow the state to reasonably regulate and tax marijuana commerce if it decided to. "We started gathering in early September, and we're well on the way now," said Stanford. "It's all a matter of money, and we've got some. And we've got time -- until July 3. We can easily get the rest of the way by then. We will be on the ballot." The 2014 version of OCTA has some changes from the 2012 version. Gone is the historical preamble, which took up a quarter of the original OCTA, and which was derided by opponents. The new OCTA also adds limits for personal cultivation and possession, but generous ones: 24 ounces and 24 plants. "We got 47% allowing people to grow and possess unlimited amounts for personal use, but people want limits," said Stanford. "Our limits are the same as those the legislature passed for medical patients in 2005." The new OCTA retains the idea of marijuana commission to oversee legal commerce, but it has given authority over all appointments to that commission to the governor. 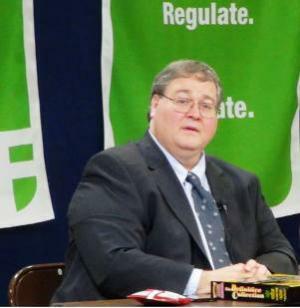 The 2012 version had a majority of commission members elected by license marijuana business owners, a feature that left it open to charges it was creating a regulatory body captive to the industry it was supposed to regulate. "The media portrayed this as akin to putting Philip Morris in charge of regulating the tobacco industry," Stanford explained. "So we put back to all appointed by the governor." OCTA can win this year, and OCTA could have won in 2012 if it could have attracted sufficient funding, Stanford argued. "In Washington, they spent $7 million; in Colorado, they spent $4 million; here in Oregon, we spent also half a million, and we only lost by 112,000 votes," he said. "Another $200,000 probably would have done it. It's the inverse law of cannabis reform funding -- the better an initiative is for the people and the planet, the less funding it gets from major funders." While OCTA is getting some outside financial help this year -- Texas head shop owner Michael Kleinman's Foundation for Constitutional Protection has kicked in $97,000 so far, and Stanford said he hoped to announce a new funder this week -- it's gotten no support from big money groups like the Drug Policy Alliance, the Marijuana Policy Project, or Graham Boyd, the man with access to the funds of the late Peter Lewis. New Approach Oregon's Control, Regulation, and Taxation of Marijuana and Industrial Hemp Act and its near-identical placeholder companion, the Control, Regulation and Taxation of Marijuana and Hemp Act of 2014 has, the group says, access to funding to get on the ballot, but it faces an obstacle of a different sort -- a legal challenge to its ballot language that has delayed signature gathering. That's largely the reason for the second version of the initiative; it is so far unchallenged, and if the first one is blocked by the state Supreme Court, signature gathering can then begin on the second. 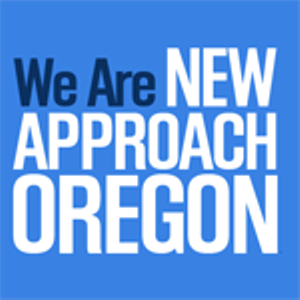 "We're just waiting for our ballot title to get finalized, then we gather signatures," said Anthony Johnson, campaign manager for New Approach Oregon. "We expect the challenge to be done by the first of May, and our signature-gathering firm has assured us that if we are collecting by the first of May, we will have plenty of time to get on the ballot," he said. "We've received pledges of a million dollars to get us on the ballot, and we expect to have time to gather the necessary signatures," he continued. While Johnson declined to get more specific about funding sources, he did say that "our funding team has always included the Drug Policy Alliance, as well as other national funders." The New Approach initiative would legalize the personal possession of up to eight ounces and allow for the cultivation of four plants. And instead of a marijuana commission, it would rely on the Oregon Liquor Control Commission to regulate marijuana commerce, with a tax set at $35 an ounce. Both Oregon initiative campaigns appear to be well-positioned to make the ballot this year, and that makes it one of the most likely to join the ranks of the legalization states this year. Alaska should get there first -- voters there go to the polls on their legalization initiative in August -- and Washington, DC, where signature-gathering for a legalization initiative should get underway shortly, is the other locale likely to go in 2014. That looks like it for this year, but at least in Oregon, they could do it twice, or even thrice on one ballot. And both campaigns say they will vote for any initiative that legalizes marijuana. "If he makes the ballot, we will support any measure that improves the status quo," said Johnson. "Or course I'll be voting for New Approach Oregon, and I encourage everyone else to," said Stanford. WHY WON'T BIG FUNDERS SUPPORT HEMP DIESEL? OCTA protects hemp interests by directing the newly created Governor-appointed Oregon Cannabis Commission to determine the threshold of psychoactivity that allows the state to regulate, license, and tax production based on balancing comprehensive factors including "consultation with medical experts and cannabis and hemp farmers to cannabinoid concentrations which produce psychoactivity, the economics of residual cannabis extraction, and strains of hemp that produce better quality and quantity of fiber, protein, and oil" (ORS 474.085). According to Paul Stanford, recent research demonstrates some 4%-5% THC strains produce about 10 times as much seeds per acre as 1% THC strains, thus allowing real competition with fossil fuels. OCTA also provides funding for hemp and hemp biodiesel research, directs the Attorney General to seek removal of conflicting federal and international laws, and allows partial effectiveness of the OCTA if any entity or law (including New Approach if it gets a higher vote) impedes the full effects of OCTA. In contrast, the New Approach protects fossil fuel interests by leaving the status quo of defining hemp as only strains with less than 1% THC, does nothing to reconcile conflicting laws, and specifically provides that passage of the measure will completely repeal every provision of competing ballot measures (including OCTA), regardless of whether the provisions conflict, if New Approach gets more votes. I suspect the New Approach is the same old approach of big money fossil fuel interests trying to keep productive seed oil strains of hemp illegal so they can keep their wealth concentrated in the 1% of people who corrupt our economy and politics at the expense of the 99% and the planet's ecological balance. I challenge MPP, DPA, and the handful of other big money funders of legalization campaigns to demonstrate if and how they protect their policy decisions from corruption by big money donors from catering to fossil fuel interests. Notably, none of the other overfunded cannabis law reform initiatives, including Washington and Colorado, have any provisions to protect hemp for seed oil production without adopting the arbitrary 1% THC standard. I discovered this apparent corruption by big money interests by investigating why the funding entities who are trying to control the Missouri initiatives demanded that the meetings to draft the language had to be kept secret among a handful of insiders because I represent Jeff Mizanskey in his bid for clemency after doing 20 years of a life without parole sentence for marijuana only convictions and I noticed that when the initiative language was finally made public that it had technical problems that could have gotten it thrown out in court and I wanted to know why the drafting meetings were kept top secret. What happens is more than one wins? Does the one with the most votes prevail? Since they have conflicting regulations and limits, they all can't be valid at the same time. If two winning initiatives are in conflict, the one with the most votes goes into effect. I am not familiar with Oregon election law and perhaps those laws do require the whole New Approach initiative to not take effect if OCTA gets more votes even if they both get majority support. However, a literal reading of OCTA seems to suggest that if New Approach has a majority of votes but less total votes than OCTA, then non-conflicting portions of New Approach could still take effect. By contrast, the New Approach initiative is explicit that all provisions of OCTA could not take effect even if OCTA has a majority of votes but less than New Approach, regardless of whether specific provisions such as the hemp protection clauses conflict. Either way, the important concern is that if New Approach gets more votes than OCTA, the fossil fuel interests in limiting hemp to only low THC/low seed production strains will be preserved; and if OCTA gets more votes than New Approach then the option is open to the Governor-appointed commission to balance the interests by considering the quantity of seeds produced per acre along with other factors in determining how much THC is tolerable in hemp strains. My concern is whether prohibition of un-regulated hemp to include high seed production strains that also have more than 1% THC is part of a conspiracy by the biggest funders of recreational marijuana legalization as a way to pacify pot smokers from pursuing hemp production that can save the planet from global warming by using the most cost effective carbon neutral renewable resource--similar to how the food stamp program pacifies poor people like me from demanding fair sharing of America's wealth. The practical question is whether cannabis consumers who also care about the planet should vote yes on both initiatives in hopes that at least one will win even if it means joining forces with the THC fear monger voters who will only allow 4 personal grow plants and prohibit high seed production hemp because it is as potent as seeded Mexican schwag. More important to the activists, why don't New Approach and the big funders who pledge to campaigns that don't allow hemp to include high seed production strains that coincidentally have 4%-5% THC (which is really not that strong—remember schwag Mexican seeded pot?) just stop catering to the propaganda that THC is harmful and join forces with the campaign that allows the option to start reversing the greenhouse effect by focusing all that money on educating the voters that THC is healthy for people? I have not heard a meaningful response from any of those big funders or the activists that are enslaved to thinking they need them to win. I am not familiar with Oregon election law and perhaps those laws do require the whole New Approach initiative to not take effect if OCTA gets more votes even if they both get majority support. However, a literal reading of OCTA seems to suggest that if New Approach has a majority of votes but less total votes than OCTA, then non-conflicting portions of New Approach could still take effect. By contrast, the New Approach initiative is explicit that all provisions of OCTA could not take effect even if OCTA has a majority of votes but less than New Approach, regardless of whether specific provisions conflict.